I've seen a few sketchy cars for sale in my time, but I've never encountered the term "non repairable paperwork (no title!)" before...but lemme tell ya...it's got me intrigued, mildly terrified, but just curious enough to check out the pictures. Its like if Stormy Daniels turned out to be Daniel Stormy if you catch my drift, and this next vehicle will really drift because it runs/drives and has little wrong except...no papers. 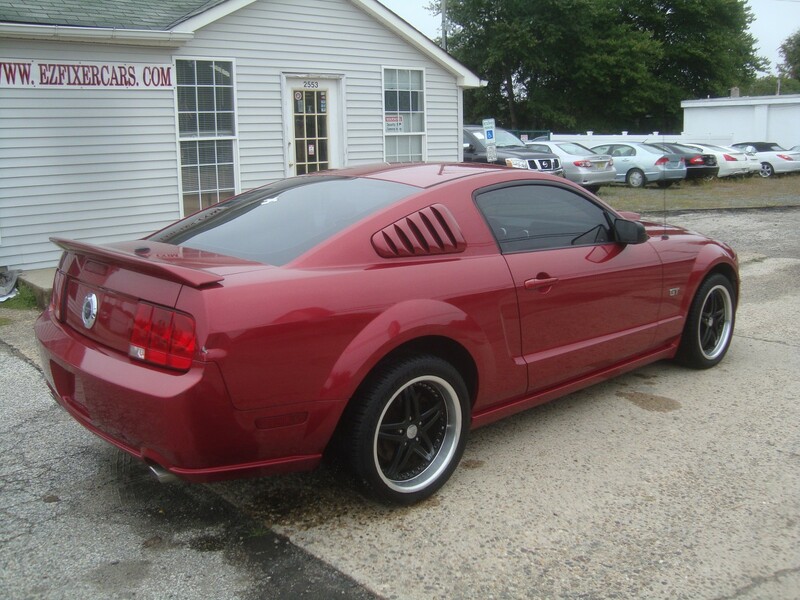 Find this 2007 Ford Mustang GT offered here on eBay offered for $3995 in Wrightstown, NJ. As seen in the pictures down below this nice looking 2007 Ford Mustang GT V8 with 103k miles has no major body damage. This vehicle was directly purchased from insurance company for resale in the condition you see it on the pictures. No middle man involved. It was sold as a water damaged vehicle. Not a hurricane vehicle. It comes with Virginia Non-Repairable paper. We will also give you an official bill of sale for the purchase. 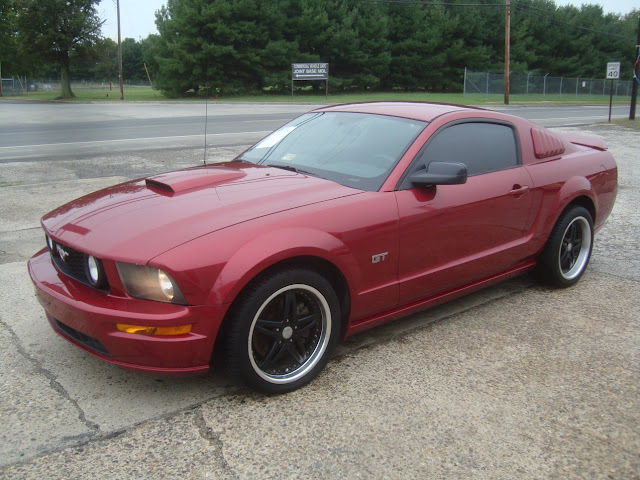 We don't have a normal salvage title or any type of a title for this vehicle so make sure you fully understand your state rules/regulations for such vehicles. Overall interior and exterior is as seen in the many pictures below. Has upgraded wheels/with great looking tires. Looks like the water only wet the carpets and was not high at all. The car was fully dry when we acquired it from the insurance company. No mechanical damage observed. All major electronics are in working order. AC, Power doors, windows, radio, speedometer, interior/exterior lights, etc all tested to be in working order. Only noticed the driver power seat not working. There are no warning lights on the dash and engine runs great! Note that the rear spoiler/trunk lid is damaged (see last pics) due to a tree branch falling at our yard during a recent snow storm. Please feel free to ask any specific questions you might have. Again this car comes with a non-repairable paperwork and a bill of sale. We have no title! Used it for parts or make it a track car or part it out. Overall condition of the vehicle is shown with many pictures below. The car starts, engine runs great, goes into gear, and we're able to drive it up and down the street with no issues noted. See a sketchier car? tips@dailyturismo.com ehh....don't send it to us!! Kinda sets the overall tone of things. The seller has some pretty interesting inventory if you go to the website URL shown in the photo. As the guy that ran a junkyard I used to shop at always said, "You know the car was running when it got wrecked"
Well not this one so much. Water was not too high at all, unfortunately the seller is! Looks like that "Virginia Non-Repairable Paper" would have required a valid title to get - but is also a "for parts only, don't even think about putting it back on the road" sort of paperwork. Looks like even making it for sale to the general public required shipping it across state lines. Found a great shot of this car before EZ Fixer dried it out. Amazing what a little Armor All and soap can do. This should be on a boat to Latin America soon. "Papers? We ain't got no papers. We don't need no papers. I don't have to show you any stinkin' papers!"